Thanks to YouTube, there's some great '90s VHS footage out there. While compiling a short list of the best ski/snowboard films EVER for our annual SnowRider's Issue (on stands Oct. 18) we came across some real gems. 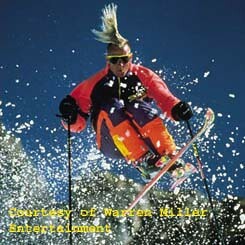 Mostly there involve late-80's ski legend Glen Plake, who is (still) the man. Here are a few others that are on the list. What's missing? Further (Teton Gravity Research, 2012) Also, Deeper, but this one’s better.